By Caz | December 14, 2018 | This post may contain affiliate links, which means we may receive a small commission, at no cost to you, if you make a purchase through a link. Read our Disclosure. New York City is an exciting destination for any kind of traveler. It’s a city that deserves hours spent lingering in cafes, neighborhood communities, museums and star attractions. If you can spend a week in New York City, I say do it! But for most people 3 days in New York is all they can afford or have time for. 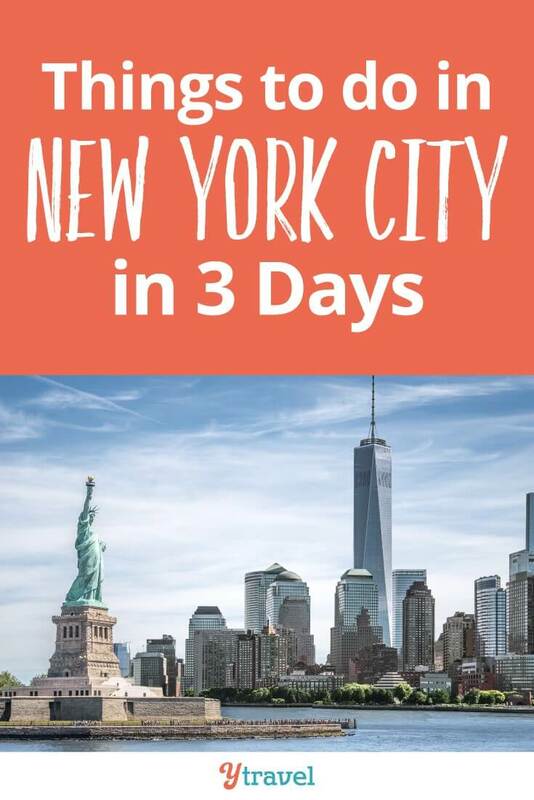 So we’ve put together this NYC 3 day itinerary to help you have a great time without too much stressing about planning and searching. 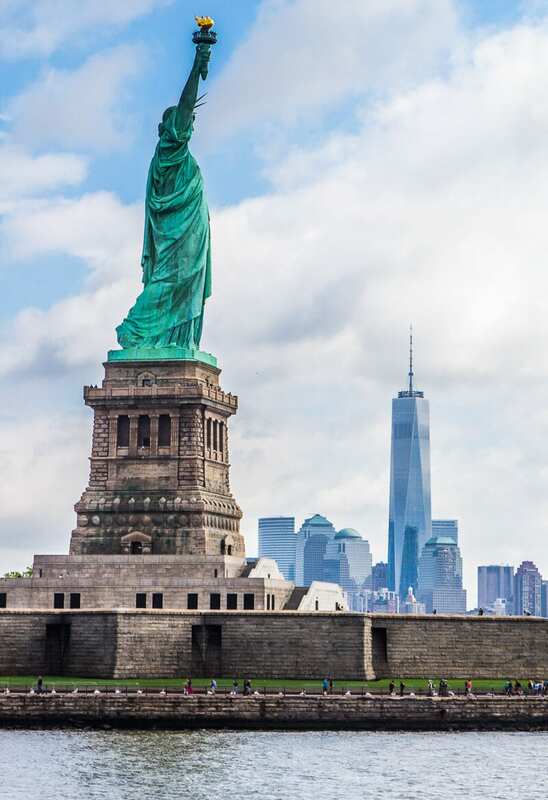 We’re keeping this NYC itinerary focused on different areas of New York each day to reduce your travel time and costs. 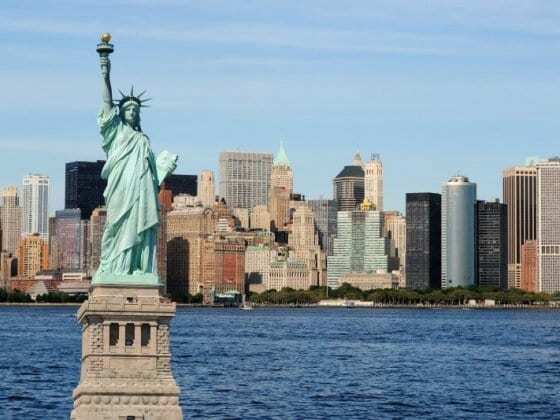 It’s also an itinerary designed to visit the main NYC attractions. It won’t focus on exploring neighborhood communities, although we have weaved that in where we can. Areas like Brooklyn, Little Italy, Chinatown, and Harlem deserve to be explored in depth as well. Save those for future trips or tack on more time to your three days in New York so you can. 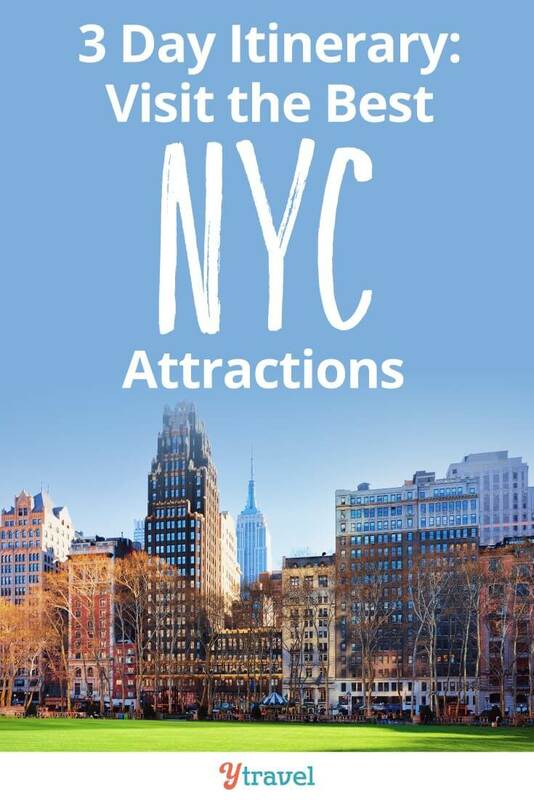 Get a New York Sightseeing pass. 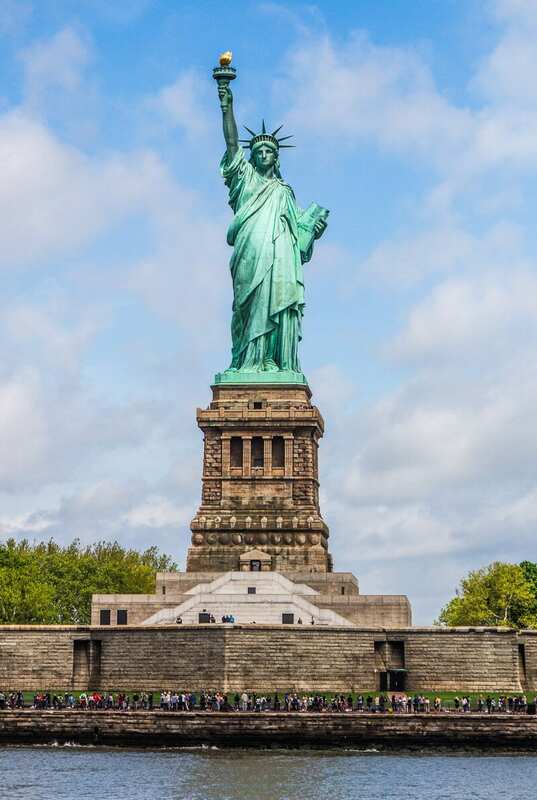 It will save you money on many of the New York attractions below. We wrote a post here explaining the value of it and how it works. 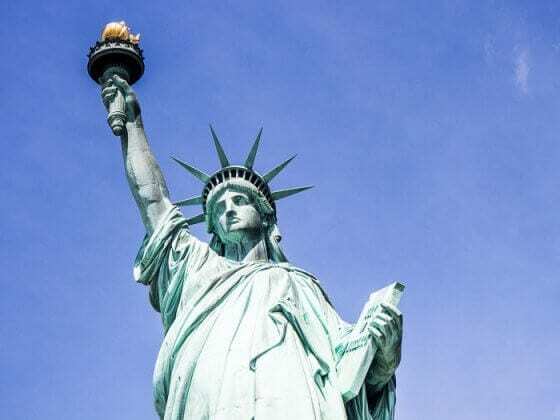 This 3 day New York itinerary will ensure you get the most out of your NYC city pass, maximizing your time and saving you money. This New York itinerary will involve a lot of walking. That’s how you visit NYC! I highly recommend it. Get yourself walk fit before you leave. You can always jump on the subway if your legs tire. Figure out how many times you may use the subway. It is $2.50 per ride, or you can buy a 7 day unlimited pass for $35. I’m not sure you’ll get your money’s worth with that deal for just three days in New York, especially if you do walk around a lot. 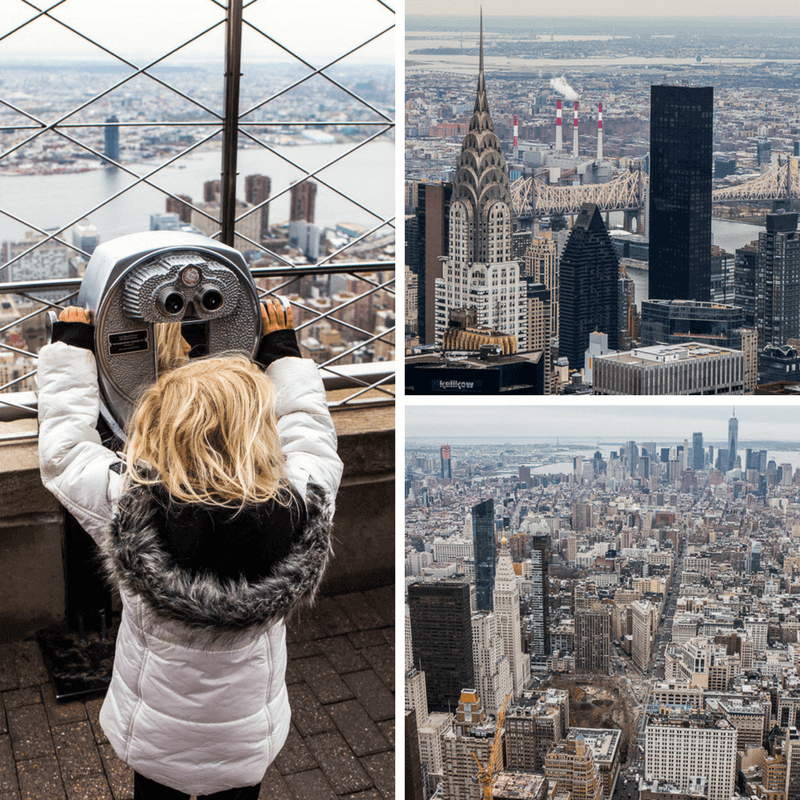 Read our post filled with New York travel tips to help save you money and time. Be sure to read up on it before your New York city trip. 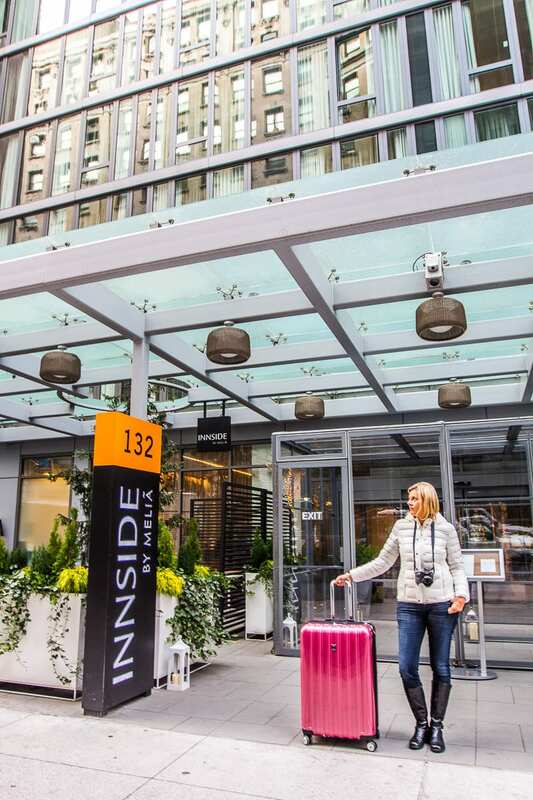 We almost always stay at the INNSIDE New York Nomad. You can find our full review here and you can read more reviews on TripAdvisor here. We loved it for it’s modern vibe, decent price, amenities and fantastic location in Chelsea near the Flatiron District. You can walk to many places and it’s right near the subway station. Read about more places to stay in New York City. 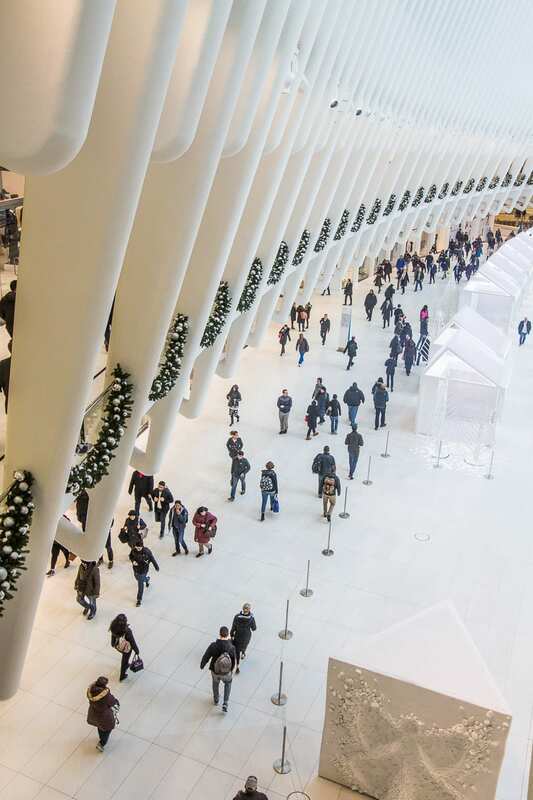 Stop into marvel at the Oculus, the centerpiece of the World Trade Center Transportation. It is a train station connecting different subway lines and the PATH train to Jersey. It’s also a plaza and shopping mall. 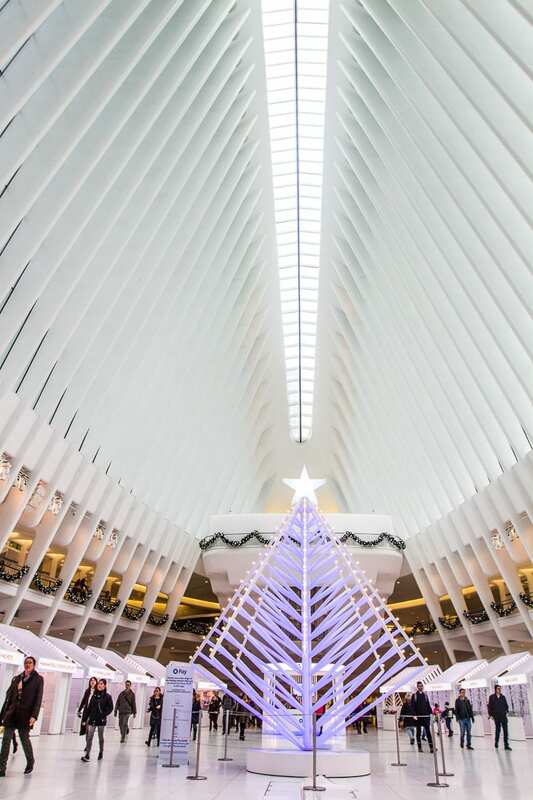 The Oculus in its crisp clean, unique design spoke of promise and lightness. I like the inside of it more than the outside. Take your photos, people watch and grab a coffee from Joe Coffee or Épicerie Boulud. You may even want to grab a pastry breakfast from here as well, if you didn’t have anything before arriving in the Financial District. 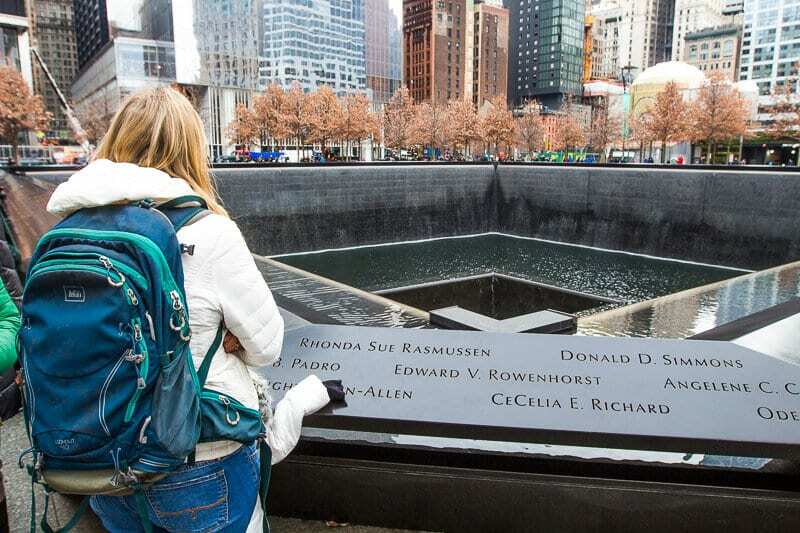 Wander around the 911 Memorial site. Don’t forget to visit the Survivors Tree. Arrive for opening of the One World Observatory Tower so you can skip the queues. Depending on how long you like to soak in views you only really need up to an hour here. 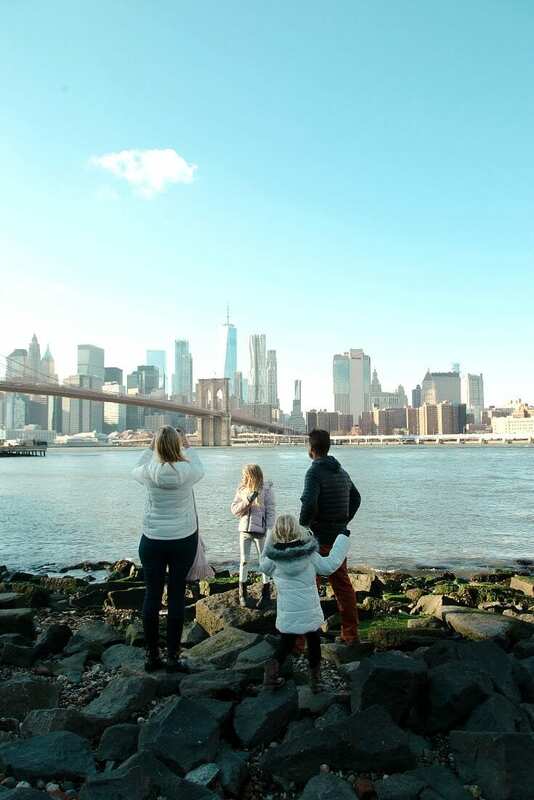 Fingers crossed you have clear skies as the views over Manhattan and New York Harbor are extraordinary. But, wait, you get views way beyond Manhattan as well! 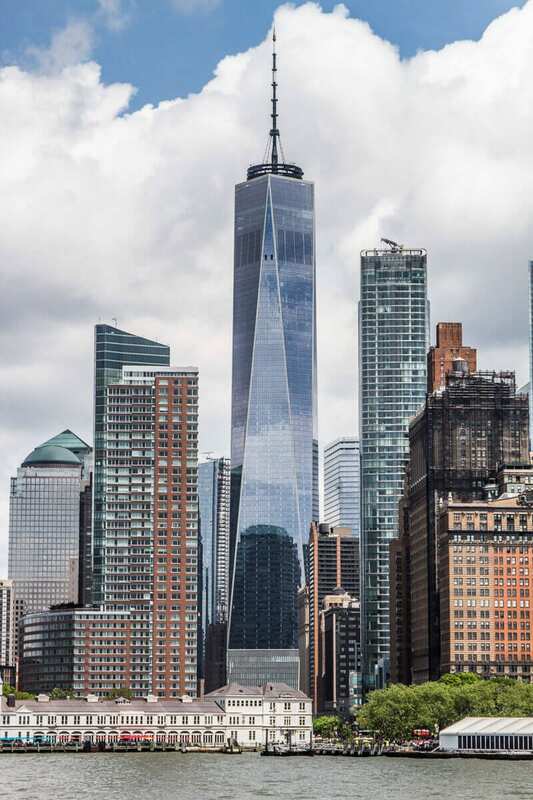 If you don’t get the NYC Sightseeing Pass for entry into One World Observatory, I recommend buying a skip the Line pass through Get Your Guide. Head straight to the 911 Museum as lines here only get longer as the day moves on. You can spend time after it to look more at the 911 Memorial site if you didn’t get enough time before going up the Freedom Tower. 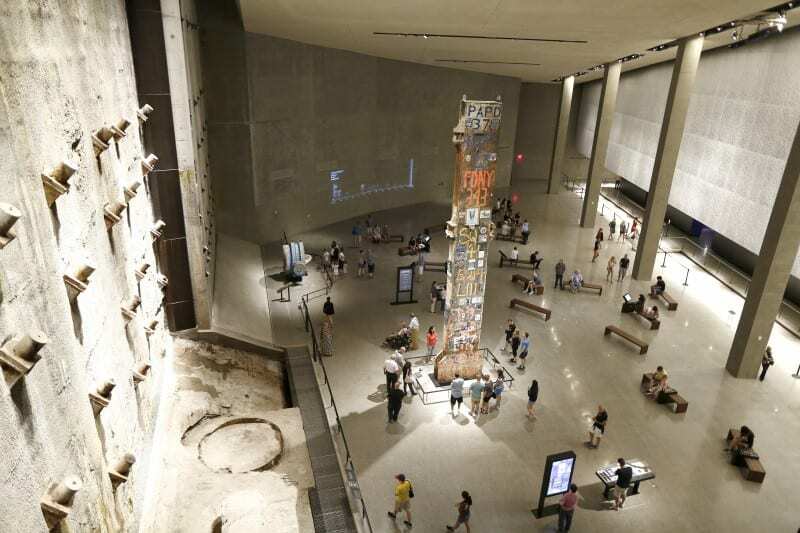 You could easily spend a couple of hours in the 911 Museum. It is quite traumatic and tissues are tastefully spread around the museum. You can read more of our experience there here. Book your tickets online and print them off, otherwise you will have to wait on the line to pick them up making online booking effectively useless, which you have the privilege of paying extra booking fees for. I recommend you purchase this Skip the Line ticket through Get your Guide. It’s definitely worth wondering around Wall Street and checking out the statue of George Washington on the steps of Federal Hall National Monument. I love how he is looking out over the New York Stock Exchange reminding them of the Founding Father’s values and keeping them honest. Ha! 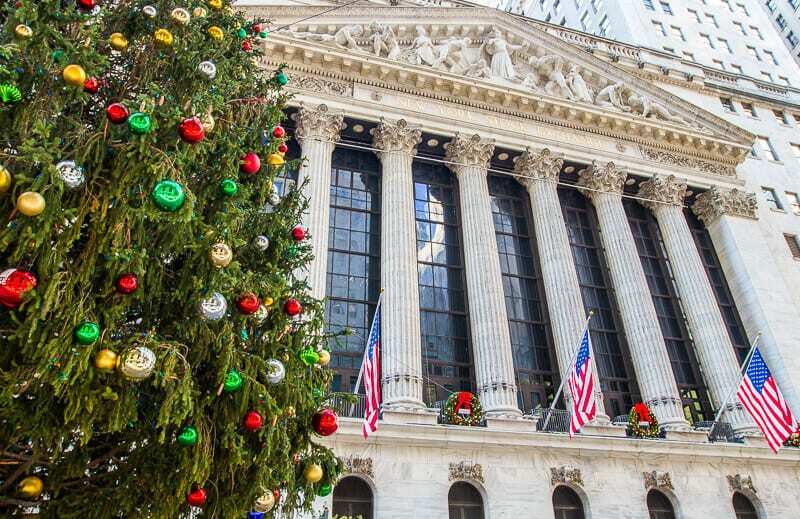 Unfortunately, you can’t go inside the NYSE, although I had the pleasure of being interviewed in there for Cheddar TV and even heard the final bell ring. It’s pretty impressive, but so is the building from the outside. If you visit during Christmas the decorations are pretty. If you want a cheap and easy lunch, we’ve eaten a couple of times at Open Market around the corner from the Federal Hall. It has a wide variety of buffet style food to choose from. From Wall Street you can walk up to the beginning of The Brooklyn Bridge. Take your time walking across The Brooklyn Bridge and watch out for bikes doing their best to zig-zag between the pedestrians. They do have a separate lane for cyclists and pedestrians but popularity means that lane can easily be swallowed up but the crowds. Once you make it to the other side, you’re now in Brooklyn. 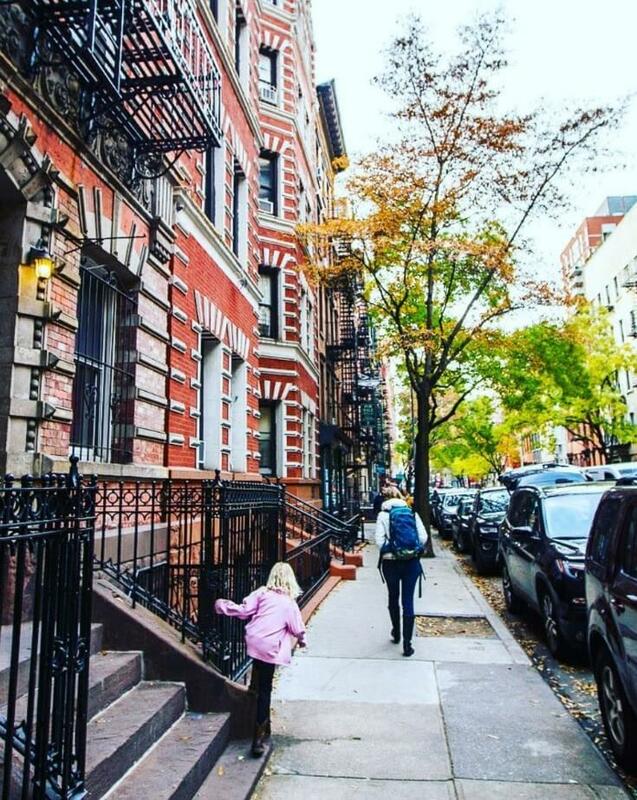 Brooklyn is a fascinating borough with many neighborhoods to explore, from the family friendly Park Slope to trendy Williamsburg (who’s cafes feature heavily in our list of best cafes in NYC). Prospect Park is also meant to be as beautiful and grand as Central Park. On this NYC 3 day itinerary however, you won’t have time to explore them. 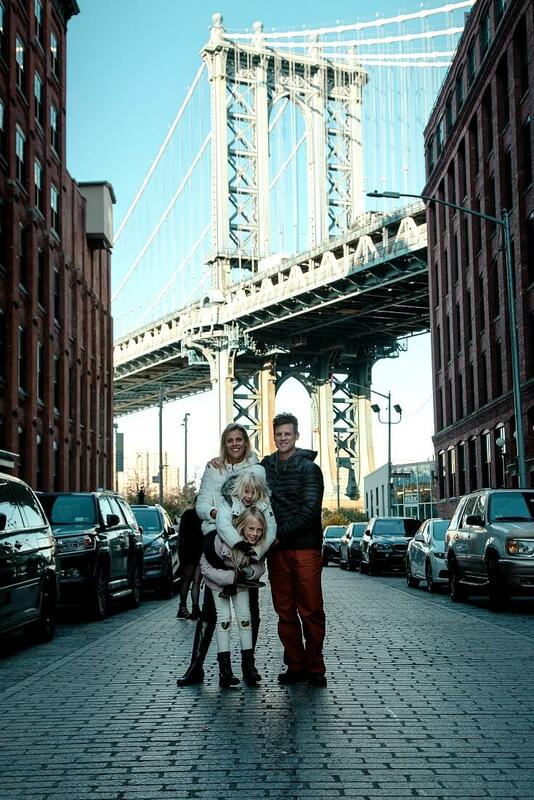 You will have time for DUMBO (Down Under the Manhattan Bridge Overpass). 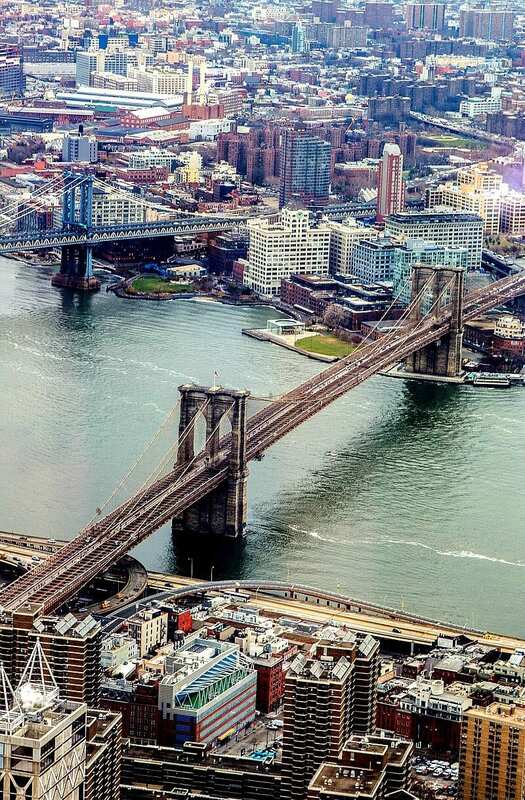 Get the iconic shot of Manhattan Bridge from the cobblestone intersection on Water Street. Your Instagram feed will love you! Wander along the waterfront. You get some amazing views of Manhattan from here. If you want to get a great photo of the Brooklyn Bridge, walk back to Manhattan over the Manhattan Bridge. You can’t visit New York without indulging on pizza. You’ll find slices of it on every street corner. However, in DUMBO, you’ll find two of the most iconic pizza places in New York. They both regularly appear on the best pizza in New York City list. And they are right next to each other!! We ate at Grimaldi’s Pizzeria which was seriously good pizza and a pretty decent prize. Next door is Juliana’s which had a much longer line that Grimaldi’s. I would go for an early dinner to miss the crazy lines that often happen here. Breeze right on up to the top of the Empire State Building. There will be no lines. Wait a couple of hours to visit the Empire State Building and you’ll be waiting a couple of hours in line! 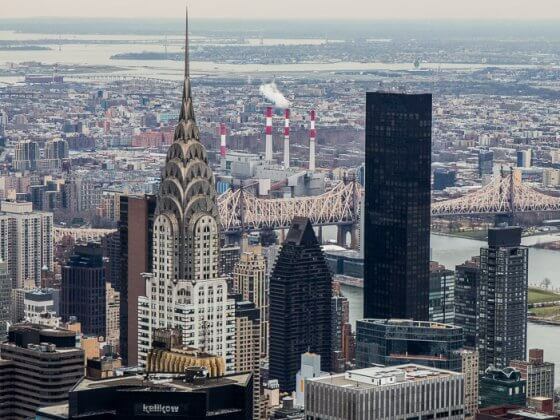 As you are in the middle of Manhattan Island, you get great views of the entire island, which his what makes Empire State Building different to Top of the Rock and the Freedom Tower views. It’s definitely worth visiting all of them for their unique perspectives. Again, here is a Skip the Line ticket for the Empire State Building. 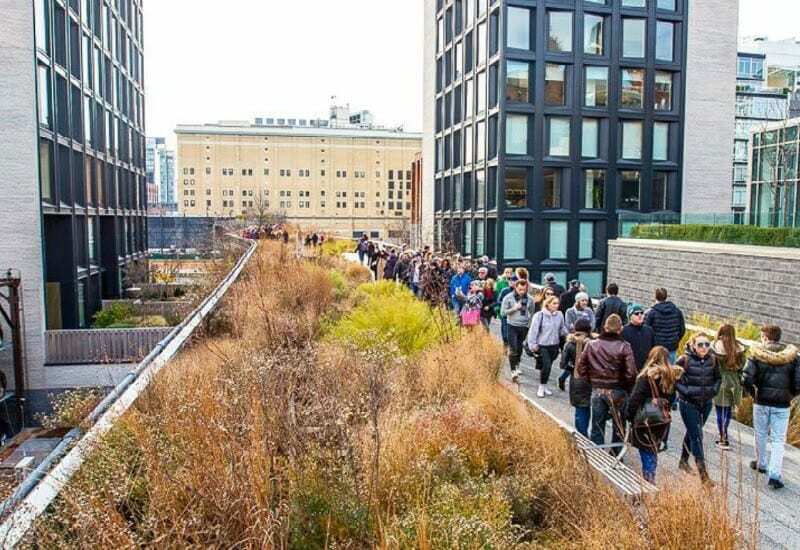 The High Line is a free New York attraction not to miss. It gets you away from the chaos of the big city skyscrapers into a garden oasis. Well kind of. You still get the high rises, but at least they are not crowding in on you and you are elevated off the street on a pedestrian flower lined walkway. It was kind of bleak and sparse when we visited in the winter, but Spring and summer is sure to burst with floral colors and aromas. 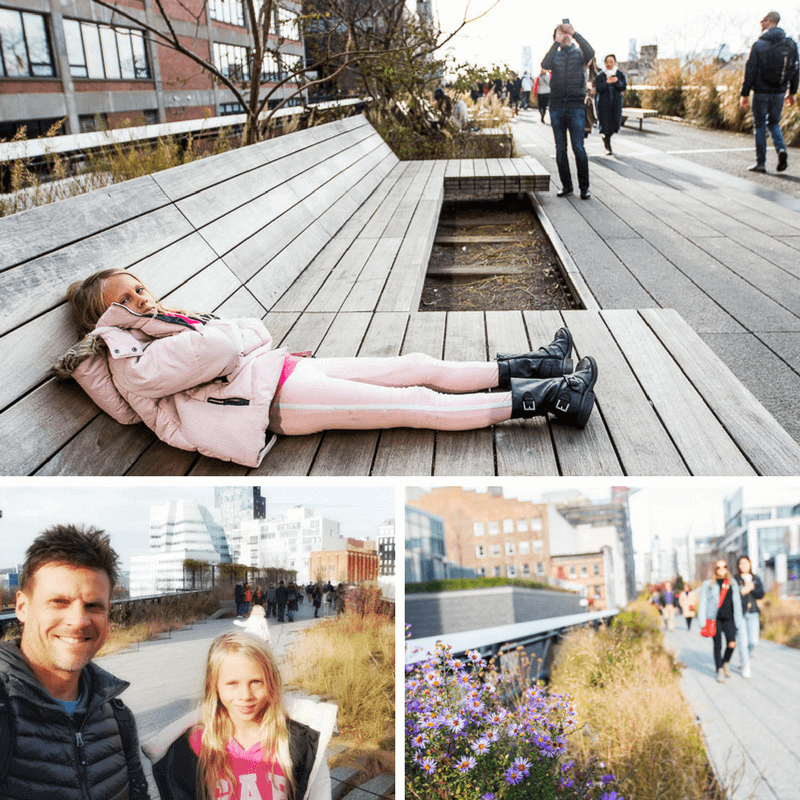 There are plenty of things to stop and look at on the way to the High Line, including Macy’s which is the largest and first of the Macy’s department stores. 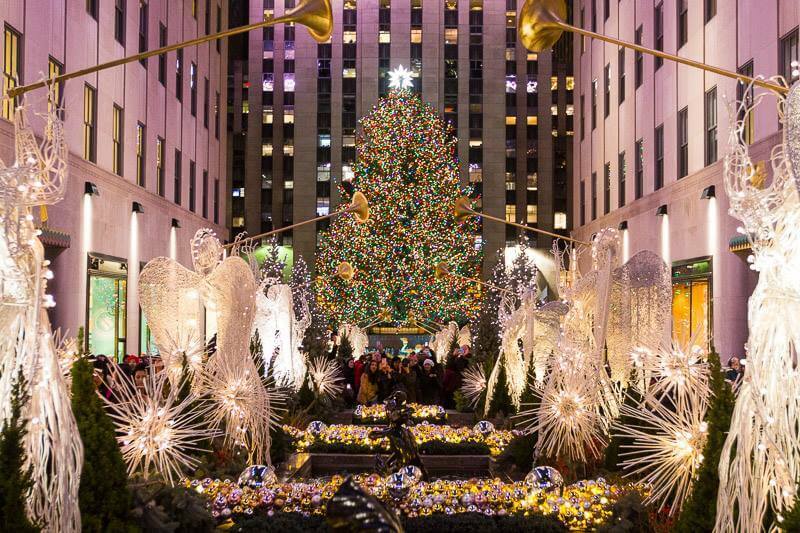 If you visit NYC at Christmas, you’ll want to include a visit with Santa. You may want to stop in at Chelsea Markets for an early lunch. 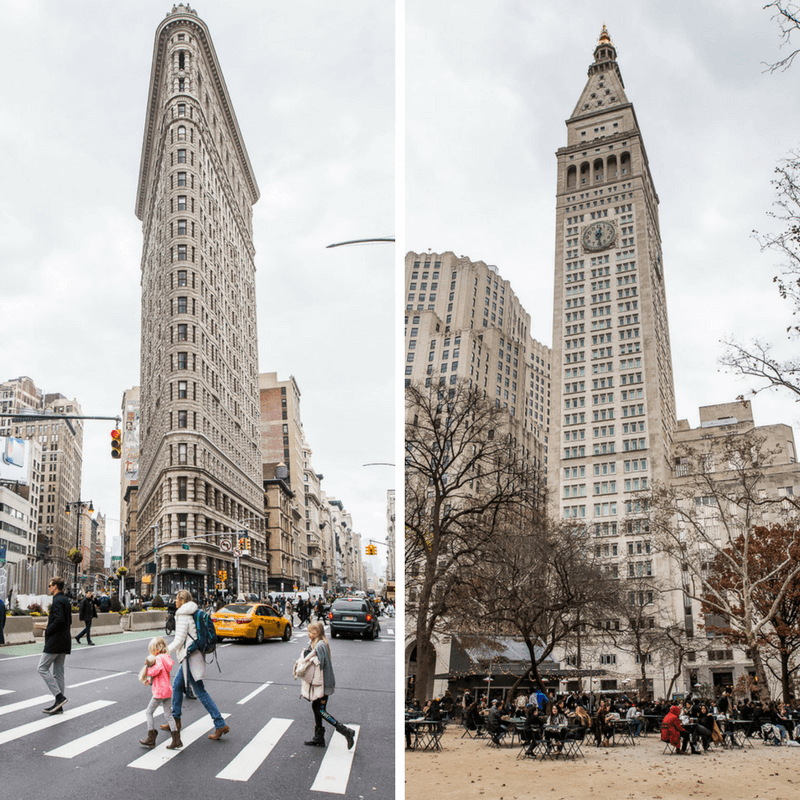 Alternatively, head to the Flatiron district, one of my favorite areas in New York. 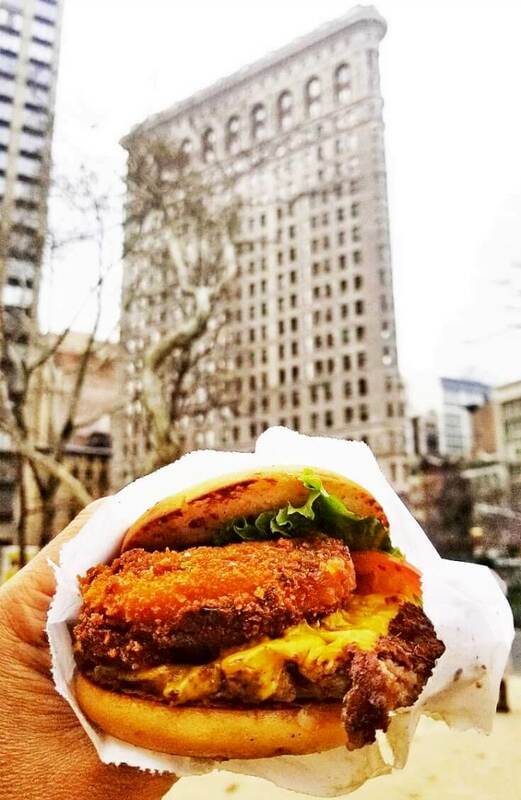 Sit and rest in Madison Square with a quick and easy, yet delicious, lunch from Shake Shack. This is the original Shake Shack, which quickly became our favorite fast food burger joint. Those cheesy fries and coffee shakes can’t be beat! If those legs are still up for walking, you could walk all the way up to Bryant Park and enjoy New York City life, or jump on the subway. Bryant Park is my favorite space in New York. During the warmer months it feels like a lush jungle oasis. 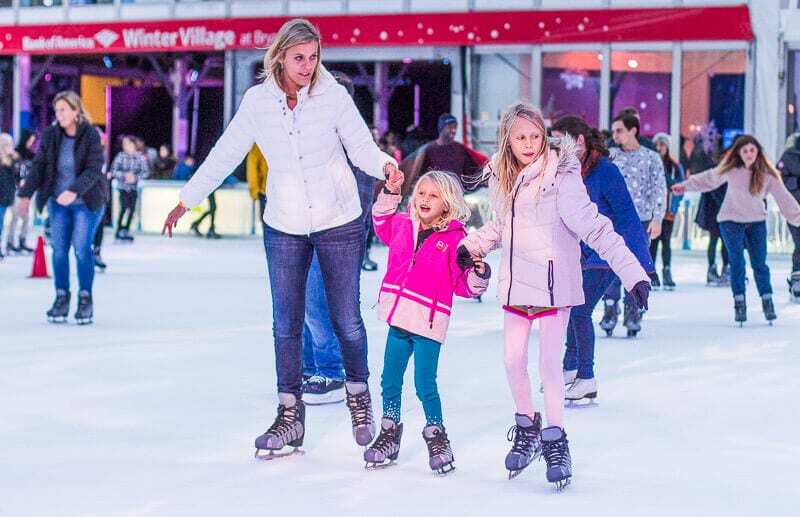 And during Christmas in New York it is the prettiest and best place for ice skating. 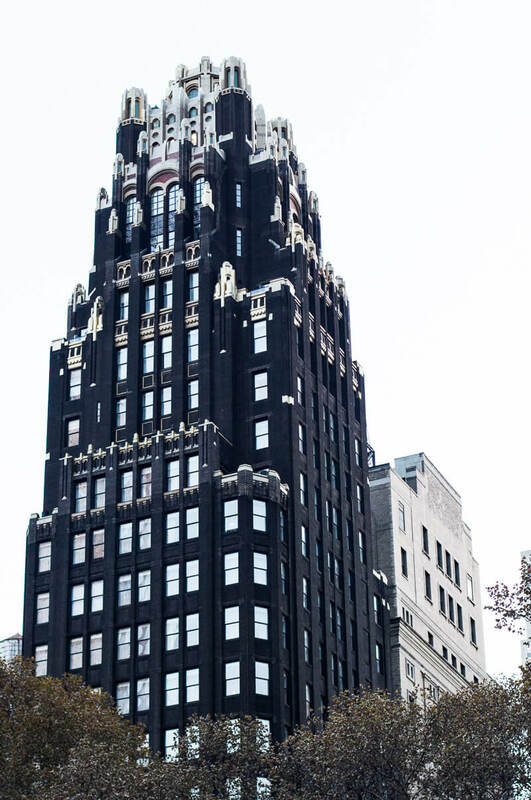 Don’t miss the gorgeous Bryant Park hotel, one of my favorite buildings in New York. the Grand Central Library is also on Bryant Park if you want to visit here. A block away is Culture Espresso Coffee, which we thought was the best we had in New York. And on the other side is a Bluestone Lane, if you want a flat white and a lamington. 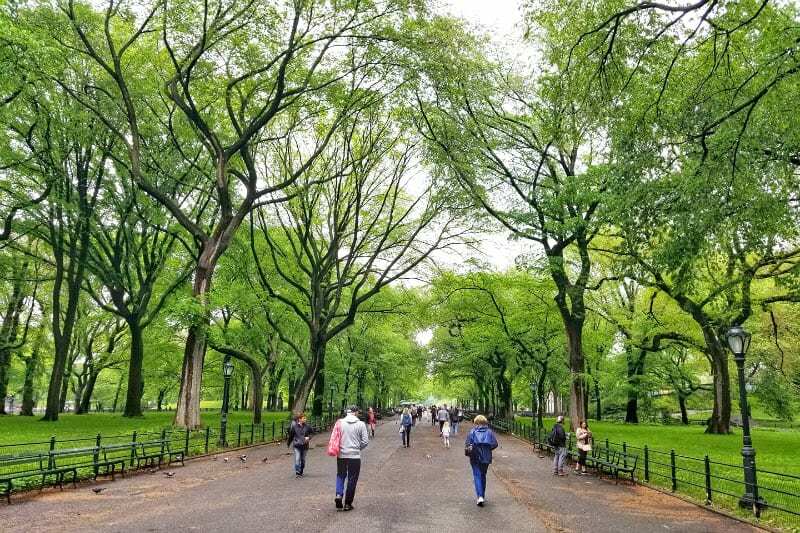 Walk along the famous Fifth Avenue up to Central Park. You may wish to do some shopping along the way if your budget allows. Window shopping is what I tend to do best. 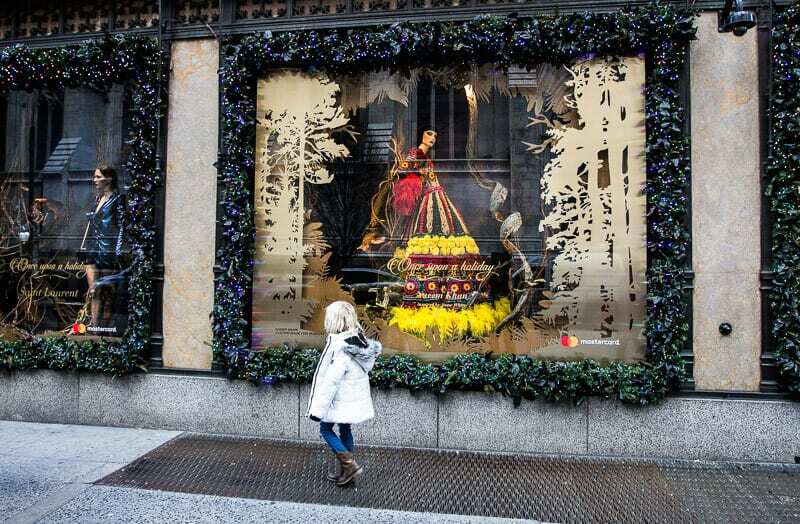 Be sure to stop and look at the window displays in the stores, most notable Saks Fifth Avenue. St Patrick’s Church is also pretty enough to stop an look at. It’s a definite break from the constant high rises and gives you a glimpse into New York of yesteryear. You could spend hours in Central Park, one of my favorite places in New York. It has museums, art galleries, restaurants and even a zoo. Some of its famous museums include the Metropolitan Museum of Art and American Museum of Natural History. I know Museums can be pretty amazing, but from my experience they don’t differ too much from one to the other. Zoos are the same. However, if you did want to go the zoo, the Central Park Zoo and the Bronx Zoo are included in the Sightseeing Pass. If I only have three days in New York, I’m not visiting a Museum, unless it is super unique like the 911 Museum. 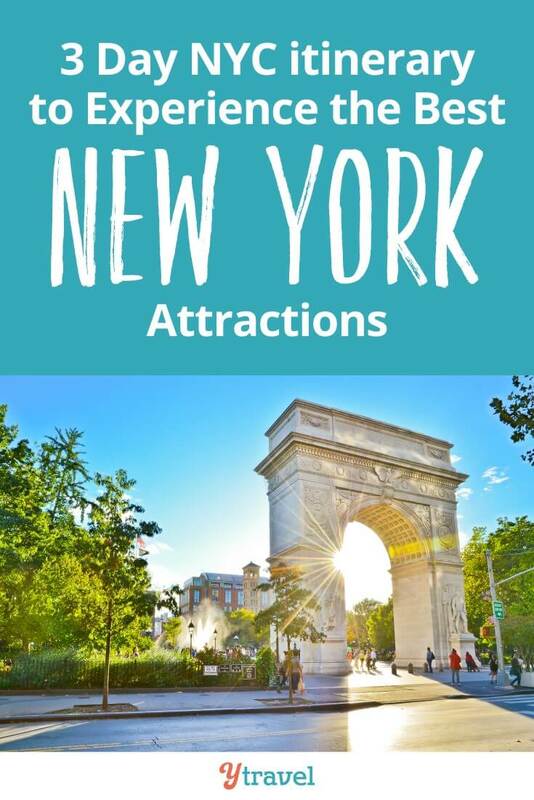 I want to explore the NYC attractions that are unique. You may be an art lover or historian though, so they may appeal to you. 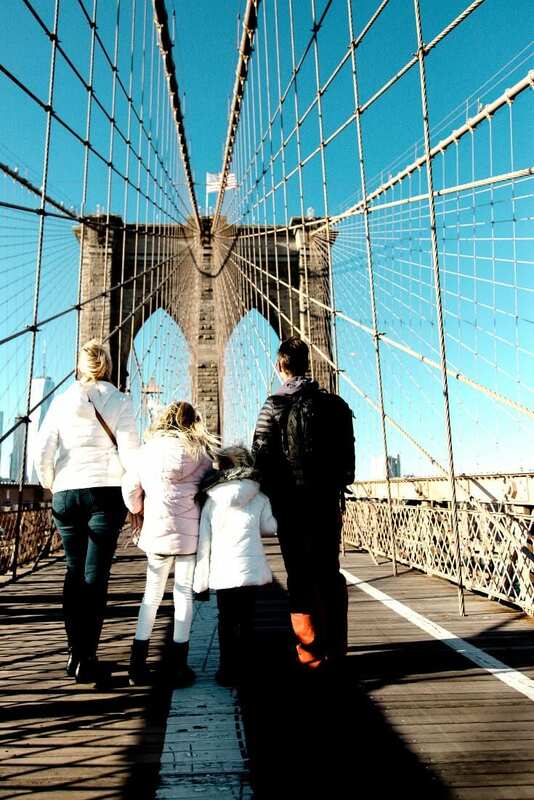 You adopt this NYC itinerary to suit your style. 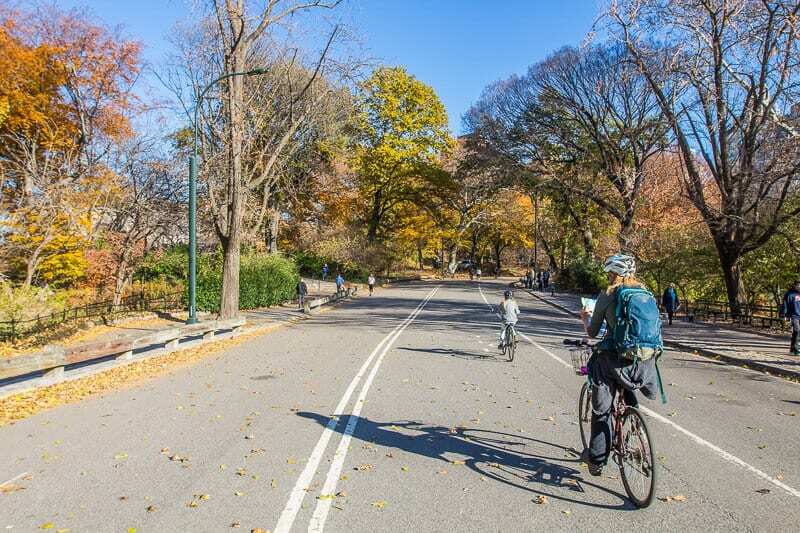 My favorite thing to do in Central Park was to rent bicycles and cruise around the park. It makes it easier to see the entire park. the northern end is quite hilly and different to the southern end. Do not miss the Mall, which has been in plenty of movies. It’s just a long avenue of trees. And the fountain in the middle of the park is a popular place to visit. You an even hire row boats on the lake here. My girls love climbing all the rocks scattered around the park. 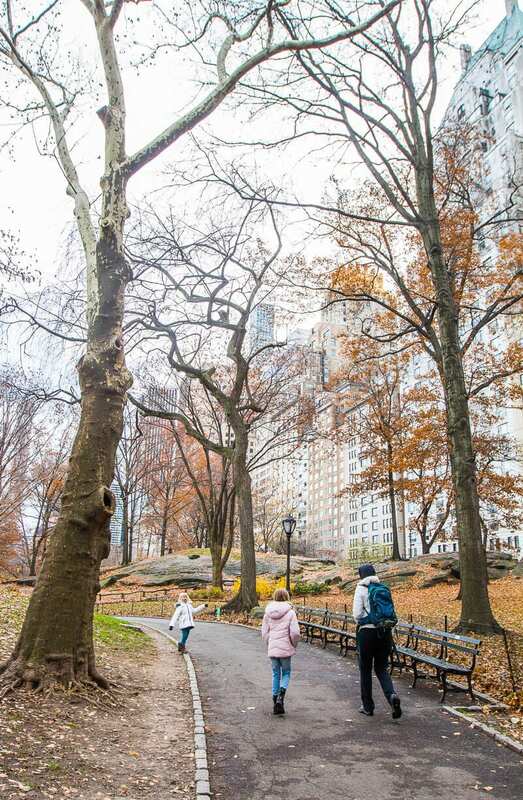 Read this post for things to do in Central Park in any season. You’re in New York, you can’t miss a Broadway show. I took my girls to Lion King which was just as good as you imagined! The costumes are spectacular and the beginning is one of the best I’ve seen in the theater. 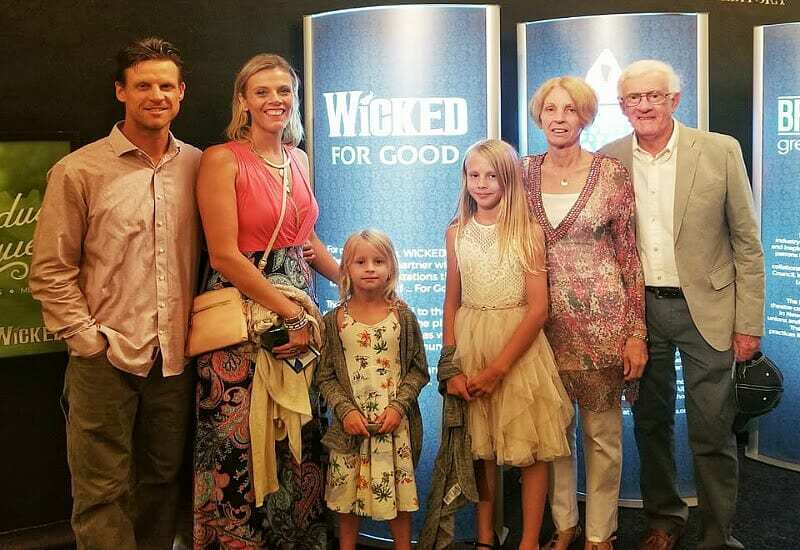 On our last trip to New York, we took my parents to see Wicked. It was fantastic. I loved how it filled in the backstory of the Wicked Witch, and how she was misunderstood and actually a good person. The music was inspiring and the costumes and set design awesome! I can’t recommend both shows enough. You can actually get a $40 credit for Broadway tickets through the Sightseeing pass! You can always find time to fit it into your New York itinerary on another day. I can’t stress enough the importance of arriving for your Statue of Liberty tour as soon as it opens, or at least within the hour after. The lines Statue of Liberty cruises can be soooo long. 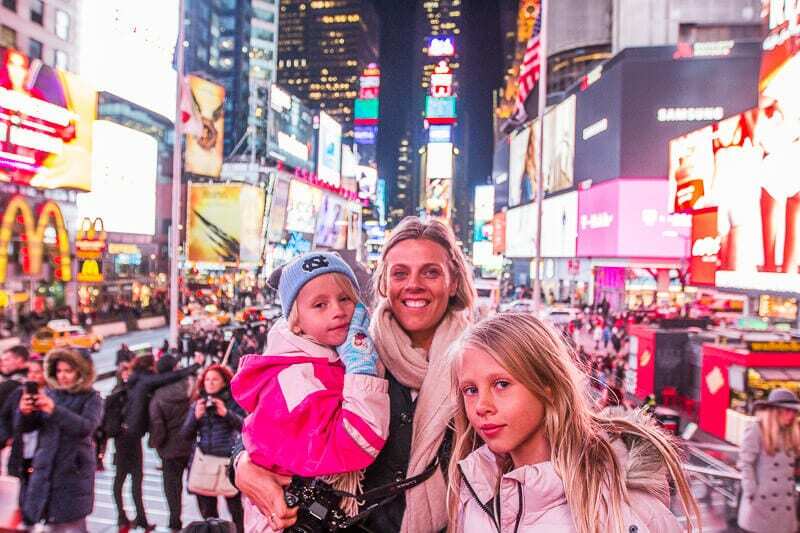 It is a very popular New York attraction, but as you can read in this post, very worthwhile. If you beat the crowds you will love it. We didn’t have time to do the Ellis Islands part of the tour. If you don’t want to miss this important historical site then allow for extra time. Battery Park is worth wandering through either before or after your tour. Jump on the subway (or 40 minute walk if you’re up for it) to Washington Square. It’s quite the gathering spot for Avant-garde artists, chess enthusiasts, joyful children, and playful puppies. Washington Square is well known for its large marble arch, fountain, and for it’s history of bohemian gatherings intent on changing the world for the better. It’s a cool spot to soak up the sun and a little of local New York life. As a natural born hippy, I love it. Broadway Street near here in SoHo is also pretty fun for shopping and people watching if you want to add in a little of that. Okay. time for one of the best cupcakes in New York. Many people will queue for hours to get an famous Magnolia cupcake. However, I don’t do lines and I recommend you don’t. 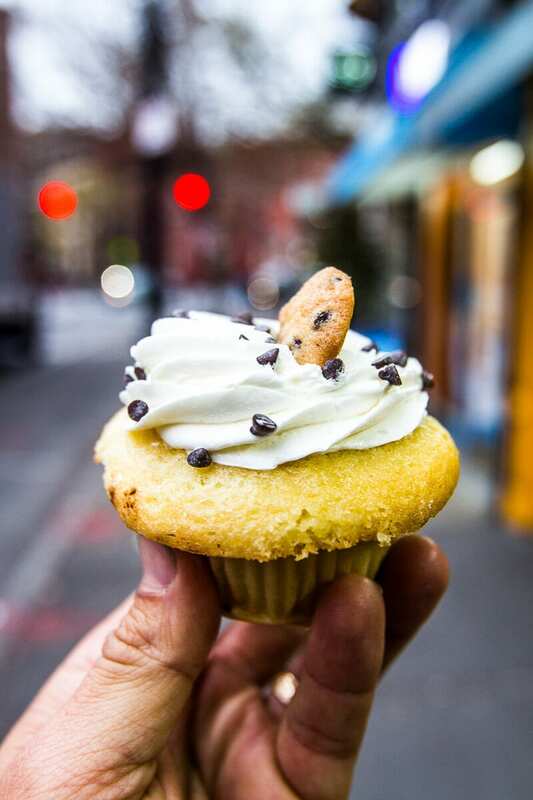 Molly’s Cupcake is only a 5 minute walk from Washington Square, you will find no lines (hopefully) and a place to sit, play a game and dive into deliciousness. If you are gluten free, get your hands on their gluten free chocolate cupcake. It is seriously the best cupcake I’ve ever had. There are cute swinging chairs at the counter you can sit at and the coffee is pretty good here too. If you were a hippy, a bohemian, and a change maker of the 60’s, Greenwich Village was your spirit home. The tree lined streets of this popular residential neighborhood are now filled with cafes, bars and restaurants and is still the place to be. All are welcome in Greenwich; you may even spot a few celebrities here. Greenwich is divided into East and West Village so take a walking tour and see which areas you like best. Bleecker Street is famous for music venues. Don’t miss Gay Street, a short angled, narrow street with Federal Style homes on one side and Greek Revival on the other. It is atypical New York and quietly hides amongst the grid of Greenwich Village. It’s been in a few movies and music videos. Rockefeller Center is where you’ll find three of New York’s most famous landmarks: MoMA, St Patrick’s Cathedral, Saks Fifth Avenue. There’s also the Top of the Rock, The skating rink (during winter) and NBC Studios. You can catch the Today Show filmed here if you visit in the early morning. 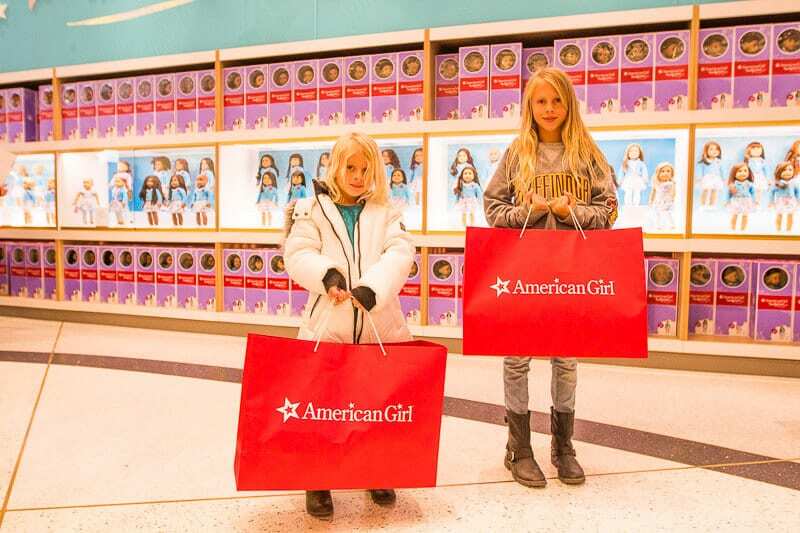 Our girls love it as it’s home of the American Girl Doll Store. It’s a bit too busy and sterile for me, but I still think it’s worth a visit. You may wish to do the Radio City Music Hall tour, home of the famous Rockettes. My parents wanted to visit, and it was included in our NYC Sightseeing Pass, so why not? I ended up really enjoying it. The theater is beautiful and you will get to meet a Rockette and find out about their lives as high kicking dancers. For the late night show lovers, here’s where you’ll find the Late Show with Jimmy Fallon. I was fortunate enough to get a sneak peek at the set of Saturday Night Live upon visiting The Today Show online offices for a meeting. It looks pretty cool. I think you’ll have fun there if you can get in. 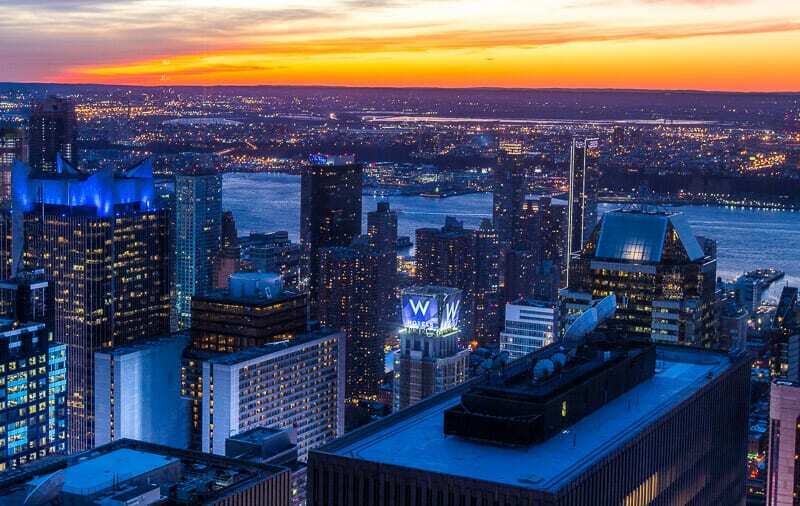 Why not end your NYC 3 day itinerary with a glorious sunset at the Top of the Rock? Be aware this is the most popular tome of the day to visit. So you’ll want to book your timed visit in advance. Lines will be long. It’s nice to see the twinkling of the Manhattan lights after the sun has gone down as well. Unfortunately, you can’t get skip the line tickets, nor book entrance times in advance. You can only get your time when you visit the Box Office. This flexible date ticket from Get Your Guide will allow you to skip the public general admission line for the Box Office. 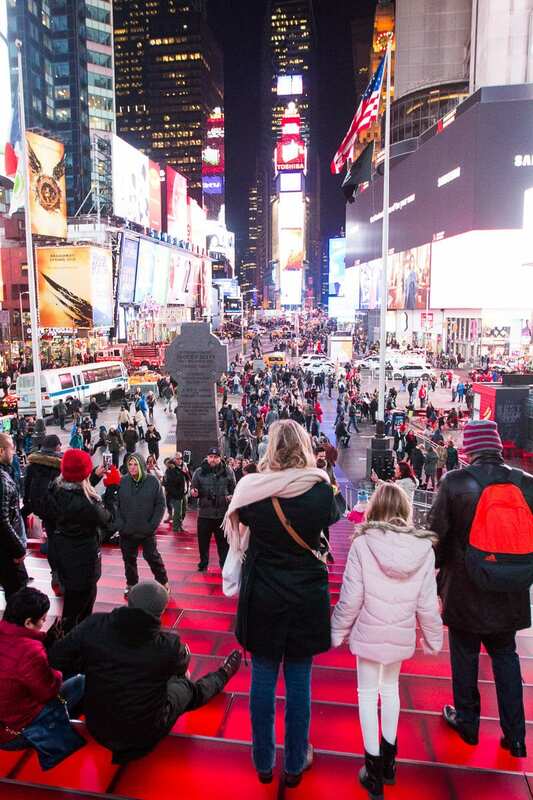 After your visit to Top of the Rock, this may be a good opportunity to visit Times Square if you didn’t get a chance the previous evening. New York has three airports: LaGuardia, JFK, and Newark (actually in New Jersey). 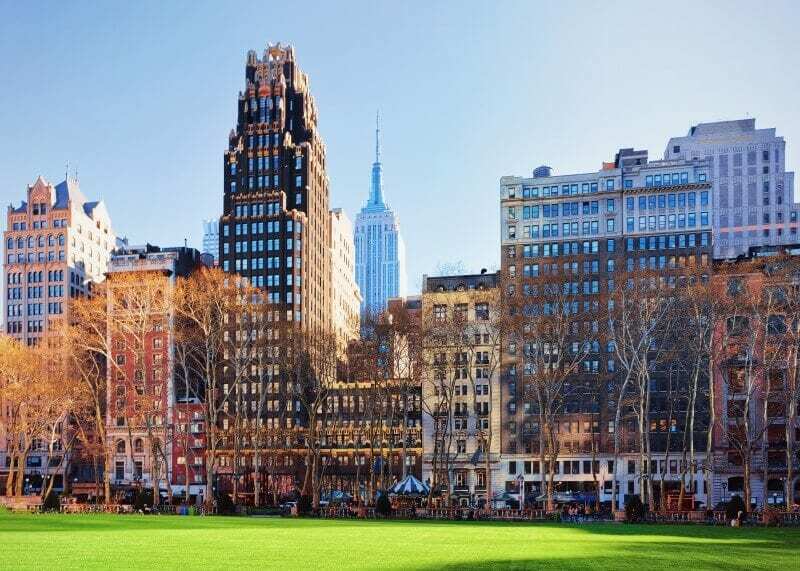 Where you fly into will depend on your budget, time, your choice of airline, and also consider the location of where you are staying at in New York. If you stay on the west side of Manhattan, than Newark airport may be the better option. From Newark into Penn station it’s $13 and it takes about 40 minutes – way cheaper than taking a taxi. Be aware that taking cabs from the airports into New York do involve tolls. The toll is $15 coming in from New Jersey. You get the bus Q70 Limited to Jackson Heights-Roosevelt Ave Subway Station and then take the subway for a cost of $2.75. It will take about 2 hours. Also check out shared transport shuttle services. You prepay for your spot in a van that shuttles you to the door of your hotel (Manhattan only). It may involve some wait time but at prices starting at $19 it might be worth it. Learn more here. If there are a few of you traveling, it might be cheaper to catch an Uber or check out Dial7 which was recommended to me as a excellent limousine pick up service to get too and from the airport. You will still have to pay toll fees and gratuities however. There are coupon codes available from $5 – 14. check out more here. 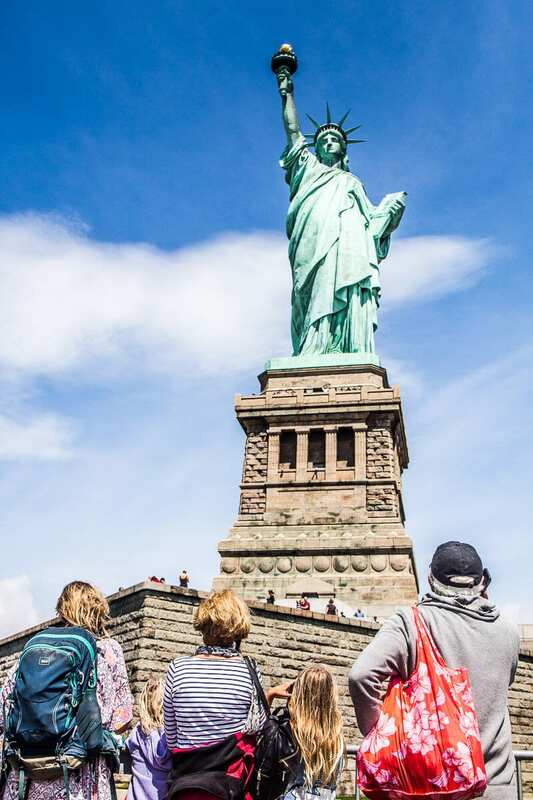 The Sightseeing Pass includes a free shuttle trip to the airport from your hotel, which I think is an incredible inclusion and another reason why they are such a great deal for saving money on your trip to NYC. Find out more about the shuttle service inclusion here. 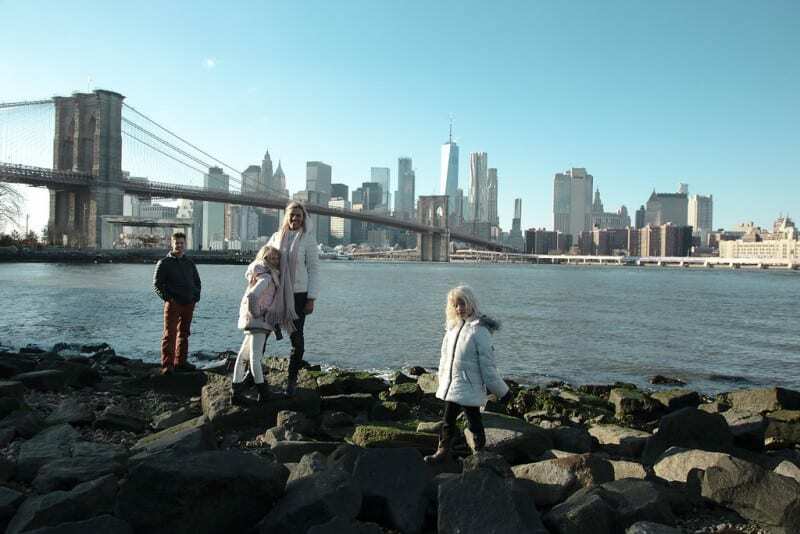 Check out our New York City travel videos for more inspiration. Be sure to subscribe to our YouTube channel. What would you add to this 3 day NYC itinerary? Any extra tips to save time and money? You guys look so awesome in all the photos! 🙂 I’d like to do some of the typical things if I get to explore New York on a 3 day trip – Brooklyn Bridge walk, Broadway show, cafe hopping, and just strolling as much as possible. Wow! I’ve been wanting to visit NYC for a while and your photos have just boosted it higher up the must see list. So much to see and do. The Oculus looks pretty grand. Fanciest train station I’ve ever seen! Fantastic itinerary!